Whilst best known for our carpet, upholstery and stone floor cleaning, The Rutland Cleaning Company also undertake cleaning outside flooring. 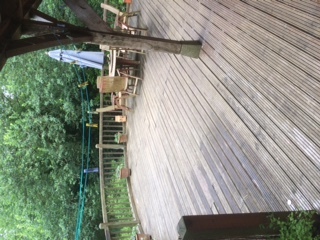 This is a very large terraced deck that we have recently cleaned in Oakham. 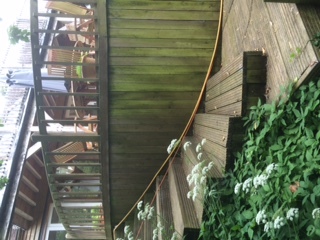 It posed a number of issues due to the sheer scale of the decking over three levels and the fact that it had not been cleaned for at least a couple of years. 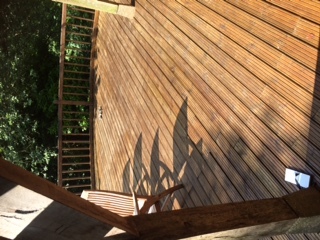 The decking was cleaned using a specialist cleaning solution and then pressure washed. 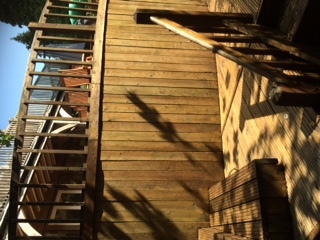 Once dry it was then treated to a couple of coats of decking oil which brings out the natural colours of the decking and also protects the wood. 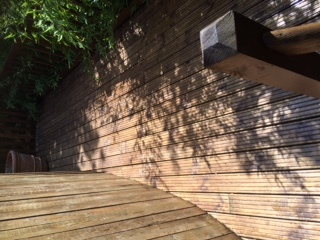 At the same time it stops dirt becoming ingrained into the wood and therefore stops the decking becoming slippery when wet. 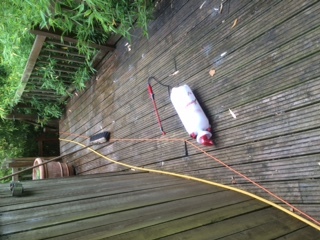 I just wanted to thank you for the wonderful job you did on our deck last week. 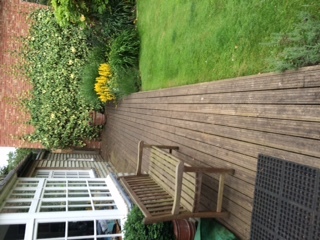 When Michael came back on Friday he was thrilled at the ‘blonde’ deck and the quality of the work you did. Luckily we were able to enjoy the deck fully on Saturday. It feels like we’ve got a brand new addition to the house. I now have to try to keep it looking as clean as you left it . 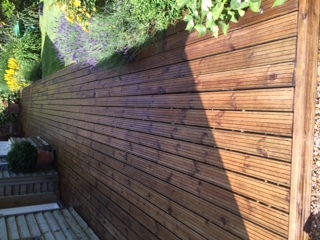 . .
Let The Rutland Cleaning Company sort out your decking cleaning Rutland and give you a garden to be proud of.